With the passing of my Grandmother recently we have come across some WW2 badges that were my Grandfather's. 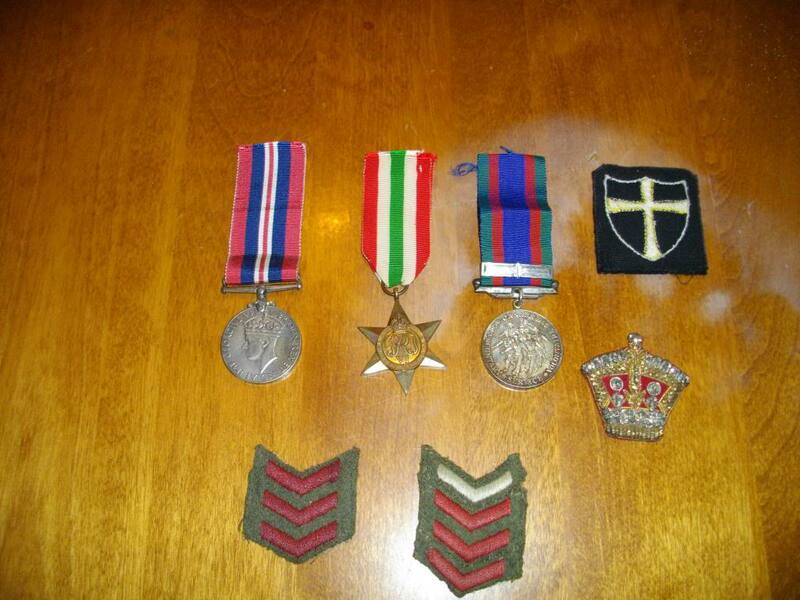 I would like to start piecing his military history together and would like to see if I can identify the badges we have. The history of the service medals is easily found so I'm most interested in the badges and the red chevron badges in particular. 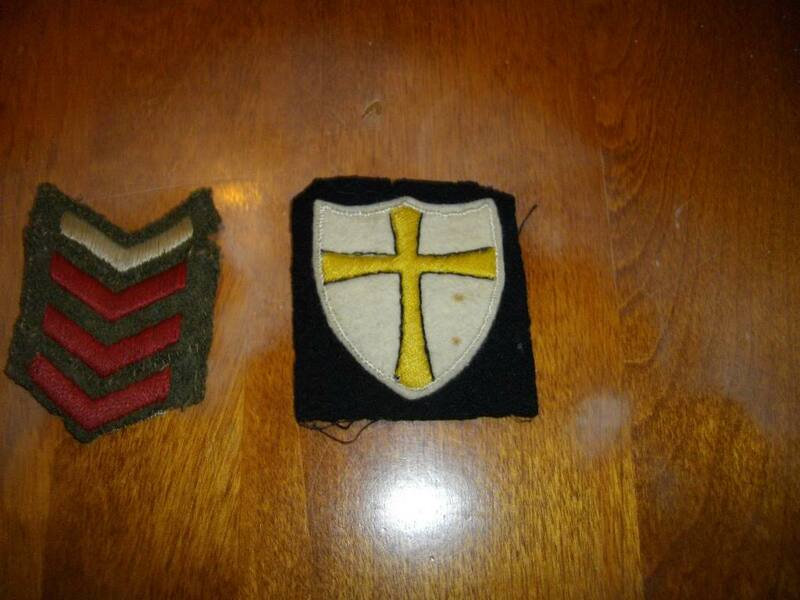 I believe they are service chevrons but I'm not sure how a soldier gets them and why some are red and one is white. Also, the badge of the Templar like cross may or may not be the unit or platoon insignia but I have not been able to find anything online matching it. Anuone in the forum have any insight or know where I can start sniffing for more information? Hi Johnske, Welcome to the Forum. The badges you have asked about are service chevrons, white/silver for one years service before Sept 1940, and the red ones for one years service each year after that date. The formation patch (the gold cross on the shield) is for the 8th Army. The Italy star and 8th Army patch suggest that your grandfather had some service in Italy. You can research your grandfather's service career through Library and Archives Canada. Thank you Bill! My grandfather was in Italy and was an NCO but that is all that is known for sure. While there here was a corporal and then a seargent. Thanks for the Library and Archives Canada lead. It's good to know that information can be found.